Treasury Secretary Steven Mnuchin asked the White House about the possibility of using a government jet for his European honeymoon this summer but later withdrew the request. A Treasury Department spokesperson told CNN in a statement that Mnuchin made the request to ensure he had access to secure lines of communication when he and his new wife, Louise Linton, were traveling. Treasury said it has a practice of considering a "wide range of options" to ensure Mnuchin has access to secure communications, including the possible use of military aircraft. 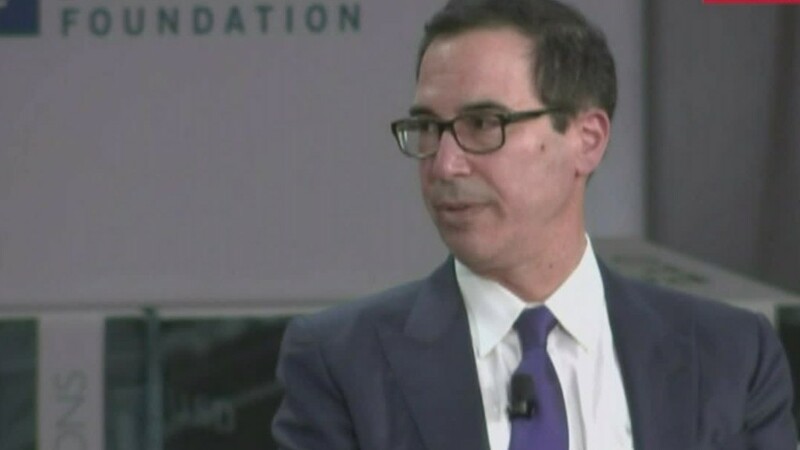 The Treasury spokesperson said it was "imperative" that Mnuchin, who is a member of the National Security Council and directly involved with national security issues tied to North Korea, Iran, and Venezuela, could communicate securely. ABC News was the first media outlet to report the Secretary's request. When asked if there was a review of the request, an official with the Treasury Department's Inspector General, which investigates allegations of wrongdoing within the agency, told CNN Wednesday "We are looking at all requests and uses of government aircraft." A White House spokesperson declined to comment and directed questions to Treasury. This is not the first time a trip by the former Goldman Sachs banker has raised eyebrows. Another trip by Mnuchin and his wife to Kentucky last month is already under review by the Treasury Department's Inspector General. The Treasury Department has previously defended Mnuchin's trip as "official government travel" and denied that viewing the eclipse was the primary purpose of the trip. Instead, the agency said the government aircraft was used to facilitate the secretary's travel schedule and ensure uninterrupted access to secure communications.